Birth defects are structural changes that can be detected before birth, at birth, or any time after birth. They can affect almost any part of the body, such as the heart, foot, or brain. Birth defects are common, and according to the Centers for Disease Control and Prevention (CDC), birth defects affect 1 in every 33 babies born in the United States each year. January is National Birth Defects Prevention Month, and you can help to reduce your child’s risk of developing a birth defect by making healthy choices during pregnancy. Women should take 400 micrograms of folic acid every day. If you are planning to conceive, you should begin taking folic acid at least one month before getting pregnant. If you plan to conceive in the future, you may want to start taking folic acid or folate as soon as possible. There is some controversy as to whether folate or folic acid is best. Don’t smoke, drink alcohol, or use street drugs. See your healthcare provider for prenatal care on a regular basis. Make sure that your current medications and herbal supplements are safe to take during pregnancy. Take precautions to prevent infection during pregnancy. Diabetes and obesity can increase the risk for birth defects, so women should have these medical conditions under control before getting pregnant. If your child is living with a birth defect, there are support systems and programs available to ensure that your child is getting the help that he or she needs. 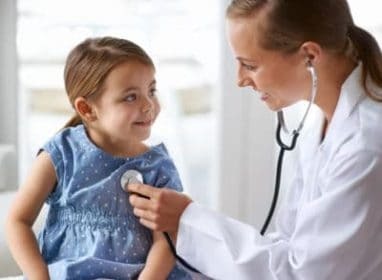 This information about your healthcare provider’s role in the care of your child offers great advice and suggestions for families. Genetic counseling may also be of interest to you. You can help to reduce your own risk of giving birth to a child with a birth defect by avoiding the known risk factors and eating plenty of fruits and vegetables during pregnancy. Help to spread awareness about birth defects so that other people can become aware of the risk factors by sharing these free materials. On average in the United States, birth defects account for over 139,000 hospital stays during a single year. This equates to $2.6 billion in hospital expenses alone! Wheels For Wishes supports reputable children’s charities, helping to improve the lives of children with medical conditions or families with financial burdens. Support children’s charities in the New Year by donating a vehicle to Wheels For Wishes. At no cost to donors, we pick up or tow away vehicles to benefit children’s charities in your area. Check out our chapter list to see which children’s charities benefit kids in your area. When you donate a car to charity, you’re helping local kids, but you even get a tax deduction! To donate your car, truck, boat, RV motorcycle or other vehicle, please call us at 1-877-431-9474 or make your donation online.